Many times there is a need to read a web page programatically. That is, get the html through code and parse through it to search what you want. Codeplex has a DLL named HTML Agility Pack (HAP) that comes to our rescue. Download the DLL and then add a reference to it in your application. 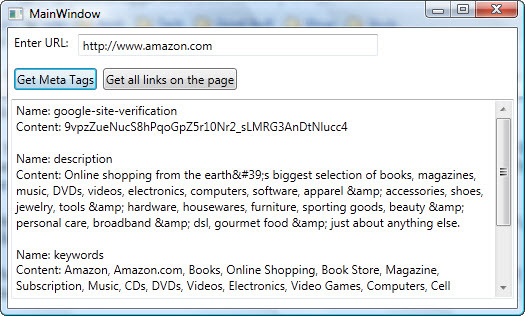 The DLL allows us to access the html code from the url provided and then exposes a DOM for us to navigate through. 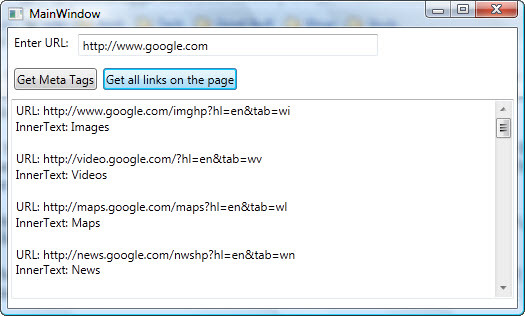 With HAP you can read, search, modify and save the web pages. Of course, modifications and save will only result in a local file and not persist the changes on the web page itself. In the code, first we create and load a HtmlWeb document from the supplied url. Then we access its DocumentNode property and use LINQ to further access all the descendants. You can also modify the results in a similar fashion and then save them by calling the Save method of the document.